If you visit freelance writing groups on Facebook or talk to friends who are freelancers, you may hear people complain about how competitive content writing is today. And while all these concerns are valid, right now is also a better time than ever before to make a living as a freelance writer. I’ve been creating content for businesses for 14 years. When I started content writing, there were very few places to find helpful tips or receive support. Yet, I was lucky enough to connect with a group of writers who shared tips and stories, offered encouragement, and had a lot of fun together in an online forum. If not for that group, I would have felt like I was going it alone. Today, writers have more opportunities to connect with others than ever before. The writing community is a lot more open. We discuss rates, share opportunities, and help newcomers suss out scams and spot the great gigs. If you’re wondering if it’s a good time to make the leap into freelance writing, I can tell you that it is. With a birds-eye perspective of freelance writing decades ago versus now, I can see that writers today receive more acceptance as businesspeople, have more opportunities to provide various types of content, and more chances to network and collaborate with other writers to achieve greater success. Let’s look at how to leverage these opportunities in this new era of content writing. Writers can connect with other writers through social media for tips, mentoring, and commiseration. When I started out, I had a handful of online freelance writers’ groups where I could network. Today, you can find a writer’s group in any niche on Facebook. From travel writing to technology, if you want to write about it, a mentor is only a few keystrokes away. 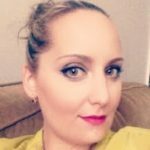 You can also use sites like Quora and Reddit to have your questions about freelance writing answered and, of course, you can always turn to the expert coaches here at Contena, too, for training. Writers aren’t afraid to talk about money. Workers today are openly fighting for living wages. Many states raised their minimum wages in 2018 and have incremental increases planned for the next several years. While freelancers don’t benefit from such legislation, they do benefit from open discussions surrounding money. New York City legislators became trailblazers supporting the gig economy in 2017 with the introduction of the “Freelance Isn’t Free” Act. The act grants freelancers in any industry the right to a written contract, timely and full payment, and protection from retaliation. Freelance writing today carries fewer financial risks, and more opportunities to earn a full-time income, than ever before. More businesses today recognize the value of content writing to increase sales. Not only are writers brave enough to ask for pay increases, but more businesses are willing to grant those requests. Small businesses and large corporations, alike, recognize that blog posts, white papers, and social media content drive leads to their website. On-site content then converts Web visitors into paying customers, directly translating into greater profits. Dollar-for-dollar, content marketing delivers three times the leads of paid search, according to a study by Kapost. Businesses need more content than ever before. Content writing doesn’t start and end with blog posts or Web pages. Today’s businesses need scripts for webinars and YouTube videos, content for eBooks, press releases, and even social media content like Twitter, Instagram, and Facebook posts. Once you begin thinking of yourself as a marketing partner to the businesses you serve, rather than just a content writer, you’ll open doors to interesting gigs with steady monthly pay. If you began writing prior to 2011, you may remember the age of keyword stuffing and software that would “spin” existing articles so they were just different enough to be published without raising any red flags in the search engines. In 2011, Google released the Panda algorithm, designed to reward high-quality websites that publish valuable, informative, in-depth content. Today’s content writing is about quality over quantity, which makes it easier for good writers to take pride in their work and stand out in a crowded field. Even if your writing skills aren’t the best (yet), you can take online courses, work with experienced writers and editors, and hone your skills to be competitive. The gig economy is hot. Thirty-four percent of the U.S. workforce, or 53 million Americans, currently work as freelancers. The number of 1099 contractors (freelancers) has increased by 22% in the past 18 years. As the number of sole proprietors grows, freelancers are beginning to receive more respect now than they did 10 years ago. Words like “freelancer,” “consultant” or “self-employed” are no longer synonymous with “unemployed,” especially since 42% of freelancers say they make more money now than they did before they started freelancing. Technology for writers is better than ever before. I remember writing articles on my Blackberry in 2008 while cradling my infant daughter. The pushbutton keys and limited WiFi capabilities were nothing like today’s Androids or iPhones. It’s easier than ever to write on the go, today, with tablets and 7-inch smartphones sporting all the capabilities of a laptop. Not to mention affordable netbook computers that make it simple to take your writing business on the road. It’s not just the devices we use that have evolved. I already mentioned the mentoring and support writers have today through online writers’ groups, which simply didn’t exist in these quantities ten years ago. Finding clients is also easier than ever, with sites like Contena curating all the best jobs and sorting them by pay rate. In the past, writers would have to visit dozens of job sites and comb through Craigslist ads to find gigs. Then we’d guess at the rates, send an application, and hope it wasn’t a scam. By sifting out the scams and organizing the jobs by niche and pay, Contena can reduce your time spent looking for jobs by hours each week. This leaves you more time to produce the high-quality content clients expect today. 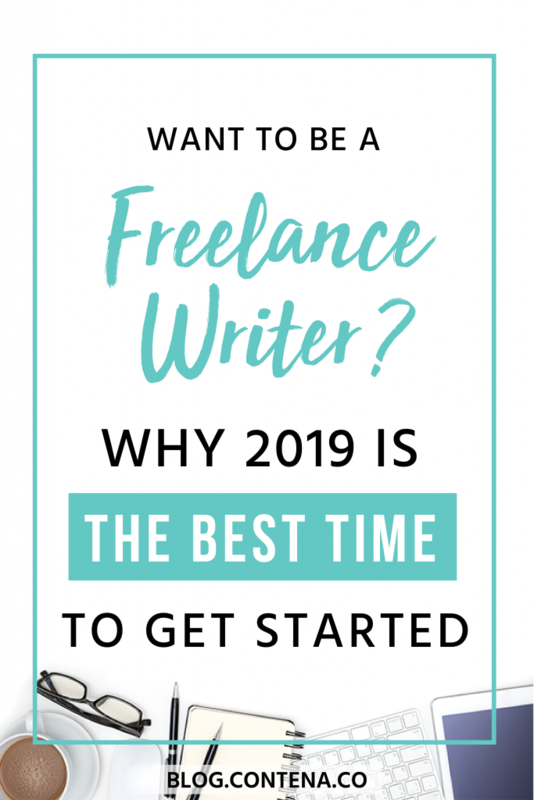 You’re here for the golden age of freelance writing – whether you’re a newcomer to the field or a veteran who remembers the way things used to be. Take advantage, and pursue your freelance writing goals now.